Back in town centre in the Korngasse ther is the church of St. Ludwig behind a high wall. Parts of the church are remains from the 13th century, it was destroyed and rebuild in the course of history. It was mostly known for the Bossweiler Altar. The church has been closed for the public for a while now. 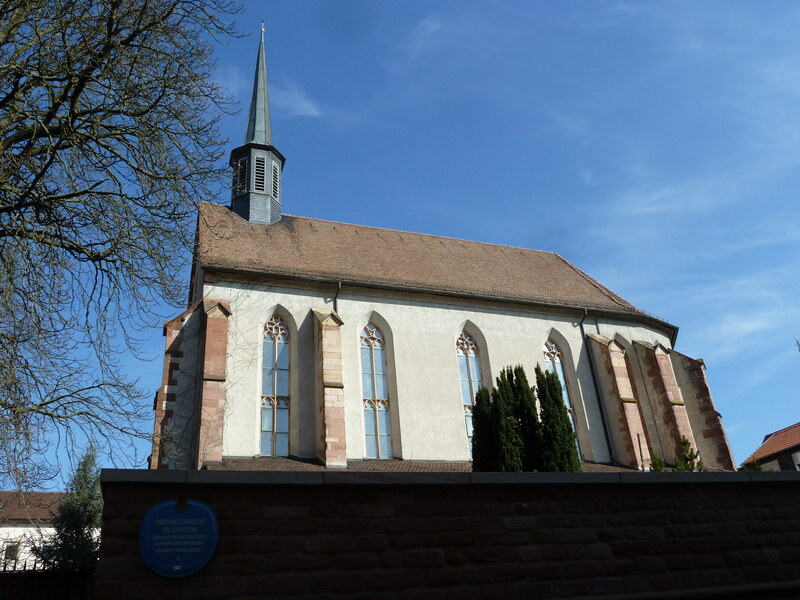 In 2013 the Bistum Speyer published a redevelopment plan for the area, trying to make the site more open, but in March 2014 it was announced that the whole site will be sold off, and the Bossweiler Altar will be moved somewhere else. Such a big space, in the middle of a town where the property market for buyers is practically nonexisting, is of course calling the investors into action. According to the local newspaper "Rheinpfalz" the first offer came in one hour after the announcement. But it can be doubted that the sale of this site will do the townscape any good. There are several examples out of town centre, that the current building boom is rather having a negative influence on it.